This is such a great article. When trying to break free, stay free, move on and heal from a relationship with a narcissist, it is scary and you will be afraid. That’s completely normal, just please know your life will get so much better!!! Breaking up with a narcissist reminds me of my experience with childbirth. It’s scary. It hurts like hell. It’s not something you can ever really prepare for. You feel nervous, afraid and a little relieved. You have no idea what to expect. You’re thrust into unfamiliar terrain and filled with fear of the unknown. When you’re faced with an overwhelming life challenge and feel completely unequipped and unprepared to deal with it, you just have to have a little thing called faith, or what I call finding your Bertha. What is your Bertha? It could be your higher power, a system of beliefs, the source, the universe, a therapist or someone who has been through the same experience and triumphed. Bertha is a set of beliefs or a force greater than yourself that you have absolute faith and trust in. It could be as simple as the belief that, “the universe has something better in store for me” or “everything happens for a reason” or it could be your higher power, God, Buddha and the list goes on. Years ago, I was a pregnant new mom to be, in labor long enough to see three shifts of obstetrics nurses come floating in and out of my room. I was in pain and terrified. I had no idea what to expect. The nurses all had different personalities, some were warm and fuzzy, some were quiet and aloof and then there was Bertha. Bertha marched in my room like a drill sergeant with the confidence of an Admiral. There was nothing warm and fuzzy about her, but she was not quiet or aloof either. She had a dry sense of humor and by the way she carried herself, it was clear that this wasn’t her first rodeo. Her self-assurance and take charge presence instantly made me feel at ease. I knew everything would turn out just fine with Bertha at the helm. This gal knew exactly what she was doing and I could trust putting myself and my unborn child in her care. My moans and groans of pain and agony didn’t unnerve her. She was like a tower of strength. She ordered me around like a new recruit. Sit up. Take a deep breath. Eat these ice chips. Do this. Do that. Bertha was no-nonsense, but she was also very calming and extremely caring and knew how to use humor to distract me from my anxiety. Finding your Bertha becomes your beacon, your symbol of hope, your North Star, your guiding light and your Rock of Gibraltar. It’s the voice of reason. Your Bertha is the General that confidently guides you through the battlefield when you feel lost. Your strength when you feel weak. Your hope when you feel hopeless. Bertha isn’t alarmed by your pain, because Bertha knows that pain it is part of the process. There’s just no escaping it. Bertha will help ease your discomfort as much as possible, but the rest is up to you. Bertha knows that if you summon the strength to endure the pain of heart-break and the fear of the unknown, you will be rewarded with the greatest gift. Just like the pains of childbirth result in the gift of a precious new life, the pains of heart-break and the courage to face your greatest fear, will result in a precious new life, too…YOURS! “Rock bottom is the solid foundation on which you can rebuild your life”. It is your opportunity to pick up the pieces and rebuild a better version of the old you. 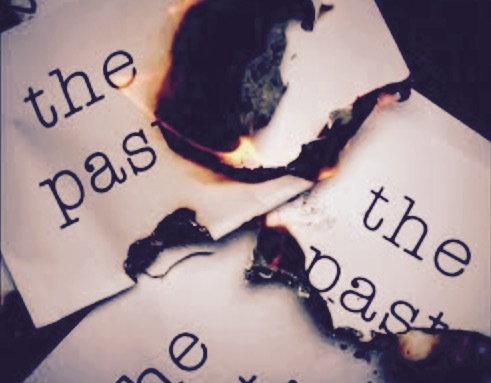 Divorces and break-ups are hard not only because of the loss of the relationship, but also because of the loss of all our dreams and hopes we had for the future. Narcissistic relationships start off on such an exhilarating high. They are the fairy tale romance we’ve always imagined. The love we always dreamed of. Then, over time, our relationship ecstasy turns into a bad trip, where we are manipulated to feel like we always fall short, are completely inadequate, invalidated, used and unloved. In the process of trying to fill the gaping hole in our partner, we lose ourselves. When these relationships end, we experience despair, confusion, disappointment, failure and grief. We’re shoved into uncharted territory. Our whole lives change in the blink of an eye. We are completely unprepared and have no idea what to expect. We are ambushed by vicious smear campaigns. Our daily routine abruptly changes. We lose relationships with mutual friends and our ex’s family members. We feel lost and nervous about the future. We wonder what life will be like? We worry if we will ever find love again or if we’re doomed to end up alone. All the uncertainty of the unknown can feel worse than staying in a toxic relationship that we know is not healthy for us. So we hesitate to move forward and get stuck ruminating about all the good memories of how our ex used to be. TIP 2: Remember the used-to-be’s don’t count anymore! When we are sad and lonely we often mistake these feelings for love for our ex. This isn’t real love! It is sadness and loneliness driving us to romanticize the good memories and reach into the past for a solution to end our pain. We turn our focus back in time to when we felt happy rather than concentrate on the reality of how the narcissist acted and treated us. We allow the emotions of the pleasurable memories to overrule the overall view we have of our ex narcissist. It’s human nature to want to take the path of least resistance to relieve our pain. Unfortunately this path is only a band aid. A temporary solution to dealing with a problem that will only prolong the pain, not solve it. I’m sure you’ve heard the saying by Albert Einstein, “the definition of insanity is doing the same thing over and over again and expecting different results”. That’s where the path of least resistance leads to, exactly the same result- more pain. TIP 3: If you want to change your situation and see an end to your pain. It’s time to take a new path, one that is not easy. Stepping outside your comfort zone is essential to healing and recovery. “New opportunities reward people who step outside of their comfort zone”. “Being in an uncomfortable zone is much better than being in a cheeseless situation”. “The quicker you let go of old cheese, the sooner you find new cheese”. “The fear you let build up in your mind is worse than the situation that actually exists”. “What you are afraid of is never as bad as you imagine”. “When you change what you believe, you change what you do”. TIP 4: Learn to accept change. Go with the flow. Adapting to change is crucial to healing and recovery. It’s also a prerequisite to building resilience and coping with the life’s inevitable uncertainties. The more we resist change, the more we stay stuck and prolong our pain and suffering. Education is key to setting yourself free. Continue researching Narcissistic Personality Disorder (NPD). Devour all the information you can. Read articles, watch YouTube videos, follow blogs about narcissism and join an online support group or two. Arming yourself with education and knowledge of NPD will empower you to keep moving forward. Every time your thoughts turn to your ex, instantly block and switch them to educating yourself about narcissism. For instance: If you think to yourself, “I wonder what my ex is doing right now?”, then read an article about narcissistic personality disorder. If you think to yourself, “I wonder if my ex misses me?” Read an article about narcissistic tactics of manipulation. Or, if you if think to yourself, “I miss my ex”, then search for a YouTube video about malignant narcissism. Use this thought blocking and switching technique to reduce the amount of time you spend focusing your energy on your ex and substitute your thoughts with educational information about NPD. TIP 5: Use the method of Thought Blocking and Switching to decrease your focus, energy and attention on your ex, and instead, concentrate your energy on substituting thoughts of your ex with ones (info/data/articles) that dissolve the residual brainwash and accurately depict the realistic versus the romanticized version of your ex. Let them out. Feel your feelings. You will have good days and not so good days. You might feel like you are on an emotional rollercoaster at times. You will feel a lot of conflicting emotions including; sadness, fear, RELIEF, confusion, ANGER, freedom and resentment. Don’t fight your feelings. If you try to ignore or suppress your feelings, you’re likely to prolong the grieving process and get totally stuck in it. Openly discuss your feelings. Join a support group. You will benefit from hearing similar stories from those who have been there, faced the pain, and as a result, are living happier lives. The support of people who understand exactly what you are experiencing is vital to healing and recovery. Start keeping a journal. You no doubt will be triggered by memories of the narcissist’s cruelty and criticisms. These intrusive thoughts may cause a wide range of emotions and manifest themselves when you least expect them. Be prepared. The littlest things may set you off. For instance: You may be draining a pot of spaghetti and find yourself hearing your ex’s voice condescendingly correcting you about the “right” way to drain spaghetti. Writing these experiences down will release them and diminish their power and presence in your life. With time they will slowly begin to fade. TIP 6: The more you identify your feelings and express them, receive validation and support from those who truly understand your experience, the more you will come to healthy realizations that will decrease some of your pain and self-doubt. Breaking up with a narcissist is 1000 times harder than a normal break-up. One of the many reasons for this is first they pummel us with manipulation, assault our self-worth and stealthily erode our self-esteem. Then when the relationship is over, we beat ourselves up for the things we did or did not do and/or berate ourselves for staying longer than we should have and for the signs we failed to recognize. Accept that the narcissist is what he/she is. They are totally incapable of love and deep connection. Nothing you did or didn’t do would have changed the outcome. You were not loved for YOU as a person. You were viewed as an object and loved for your utility not for your individuality. You were used for the perks you were able to provide. You were their human helium tank that maintained their inflated view of themselves. I know it sounds harsh and it’s a very painful realization to accept. But the acceptance of this fact is also the very thing that will accelerate your healing and set you free. Narcissists are as capable of giving love as a rock. (And yet, you’ll get more love from a pet rock). This is why they can replace people as easily as replacing an empty toilet paper roll. The day will come when you view them in a similar way- just as useless and worthwhile as an empty roll of toilet paper. Have faith in your Bertha, the day WILL come. TIP 7: Try not to personalize the break-up. Don’t dwell in the “if only’s”. “If only I tried harder”; “If only I didn’t disappoint him/her”; “If only I was a better wife/husband”; “If only I saw the signs”; “If only I listened to my instincts”; “If only (insert blank)”. The “if only” game doesn’t change anything. It just keeps us trapped. It makes our future, just like the past –a dry, barren, exhausting wasteland of blame, guilt and shame. Narcissistic relationships should be measured in dog years. If your relationship lasted 5 years, that’s equal to 35 years in Narcville. A relationship with a narcissist is nothing short of exhausting, depleting and emotionally draining. Having your self-worth and identity systematically and stealthily dismantled can leave you not knowing which way is up. It’s not surprising, that so many survivors feel like empty shells of their former selves. The deliberate erosion of their identities and self-perceptions through the constant daily drip of projections, distortions and ambient abuse leaves them wondering how to put the pieces of their lives back together, especially when they don’t even know who they are anymore. Before you can rebuild yourself and your life, you have to undue the brainwash and the negative feedback loop that was installed in your mind. For instance: If you were accused of being selfish, unfaithful, uncaring, lazy, needy, controlling and so on, then you have to challenge the narcissist’s projections and distortions. Were you accused of acting needy or controlling because he/she stayed out all night and didn’t call you? Then ask yourself, “Is it reasonable to expect your partner to call you, especially if they are going to be out all night?” Heck yeah it is! Or, were you accused of not being able take advice because you didn’t do everything the narcissist’s way? Ask yourself, “Is it reasonable that I should be expected to do everything someone else’s way?” Heck no it isn’t! If you are uncertain about the answers when challenging the negative feedback loops playing in your head, ask your therapist, ask your support group or a trusted friend. TIP 8: Challenge and disown all the narcissist’s distortions, projections and brainwash you internalized. These qualities are not yours to keep. Give them back to their rightful owner. For every negative feedback loop you erase from your psyche, install an accurate new interpretation or message in your mind and play it over and over again, Sam! I know when you were in the relationship with your ex narcissist you asked yourself at least a thousand times “why am I putting up with this crap?” Or, “why am I staying in this relationship when all I ever feel is miserable and unloved?”Now, is the time to search high and low for the answers to those million dollar questions. They are questions only you can answer. Hint: A good place to start looking for clues that will reveal the answers is to examine your fears, guilt, shame, insecurities and your past childhood wounds. The more brutally honest with yourself you are, the more you will uncover the mental traps that helped hold you hostage in a toxic relationship. In the beginning of the relationship, during the idealization stage, the narcissist’s make-believe, fairytale love alleviated you from confronting your mental traps. The power of the idealization stage concealed the mental traps from your consciousness. The constant showers of love and adoration in the beginning, acted as a band-aid that shielded the wounded parts of yourself. Since the source of the healing was external, the effects were only temporary and dependent upon the narcissist’s “love” and approval. We attract people at our common level of woundedness. Identifying and addressing our wounds is the most powerful form of narc-repellent for future relationships. Healing our wounds from the inside out is the only cure for lasting recovery and a narc free life. Start by confronting your fears of abandonment, loneliness and unworthiness and facing your insecurities. Just as your ex’s “love” had the power to temporarily extinguish your mental traps and make you feel wonderful, your self-love has the power to PERMANENTLY extinguish your mental traps and make you feel fabulous. The journey to self-love and acceptance is a daily habitual process formed through small and consistent actions. It doesn’t happen overnight. It’s taking care of your mind, body and soul. It’s making your physical and mental health a priority. It’s embracing who you are, flaws and all. It’s replacing automatic negative thoughts with positive ones. It’s turning the thought, “I don’t think I can make it” into “I can do anything I set my mind to”. It’s surrounding yourself with only those who are 100% team YOU. It’s not settling for less than you want and deserve. It’s finding your passion and purpose. It’s learning how to fill up your own cup. It means not needing a relationship to feel worthy or whole. It’s ridding your life of any unhealthy habits and addictions. It’s daily gratitude for the good things in your life, however small. It’s staying in the present moment, the magnificent present, where there is no worry about the future or sadness about the past. TIP 9: Practice the steps of self-love daily. Heal yourself from the inside out. Make your physical and mental health a priority. Replace automatic negative thoughts with positive ones, even if you don’t believe them entirely at first. Your thoughts directly influence your feelings. The more positive thoughts you have, the better you will eventually feel. Practice an attitude of gratitude –it will add more positive thoughts to your emotional bank account. The more you repeat the steps of self-love and incorporate them into your daily routine, the quicker your mental traps will disappear, your self-esteem will improve and your boundaries will automatically strengthen by default. While journeying on your path toward self-love and putting the pieces of your life back together, there will be times when you will need to use Reality Testing to bypass the hurdles and stumbling blocks created by all that stinking thinking. Reality Testing is a therapeutic technique used to assess and adjust our perception of a situation for what it is rather than the way we fear it to be. For instance: You may fear you will never find anyone else and may even convince yourself of this. You might say something to yourself or others like, “I will NEVER find love again”. The thought that you will NEVER find love again is a cognitive distortion. A cognitive distortion is simply a way that our minds convince us of something that isn’t true. Usually, these types of cognitive distortions include the words “always” or “never”. It’s important to apply the technique of Reality Testing to contest these damaging cognitive distortions. They are as destructive to your psyche as a narcissist’s constant battery of projections and gaslighting. The population of the world is estimated at 7.13 billion. So now tell me how it is possible that you will never find love again? The only thing coming between you and finding love again is the cognitive distortion in your own mind. Give it the ole’ narcissistic discard! This is your movie, rewrite the scripts! TIP 10: When you hear yourself making negative self-defeating statements that include “always” and “never”, challenge them and play the devil’s advocate. Use Reality Testing to disprove their authority and power in your life. Thoughts = Feelings = Actions. If you change your thoughts and beliefs about your situation, your emotions and feelings change as a result. Your feelings directly influence your actions. When you act differently you create a different outcome. During the idealization stage, our brains became drenched in a potent cocktail of love bombing and pleasure inducing chemicals. Adrenaline provided that surge of energy and excitement during the initial attraction stage, and also is the cause of why many lovers require less sleep and lose their appetites. Then add in the drop of serotonin levels associated with falling in love, which basically diverts your mind and drives you to obsess in an OCD like fashion about your lover and nothing else. Lower serotonin levels are found in people who suffer from Obsessive Compulsive Disorder- go figure! Pour in a little oxytocin, also known as the “cuddle hormone” or the “bonding hormone”, which forges the attachment between partners. And top it off with the ever-present chemical, dopamine, which stimulates feelings of pleasure within the body and just happens to be the same addictive chemical that’s released when you eat chocolate or take a hit of cocaine. So, it’s not really all that surprising that a break-up is much like trying to kick a bad drug or alcohol habit. Since your brain has associated your ex-lover with these pleasure inducing chemicals, just the thought of him or her triggers this dopamine response and the motivation to contact your ex, much like a drug addict obsesses about obtaining that big high. This explains one of the reasons why so many people tend to obsess over their exes after a break-up in a very similar way a drug addict obsesses about getting their next fix. Your membership to the club no one wants to be in will eventually expire. Be patient. It takes time. Narcissistic abuse is a betrayal of the heart, soul, mind, and spirit, and often times the wallet too. It corrupts and completely shatters what we thought was reality and tarnishes our faith in humanity. For this reason, it takes a while to restore our equilibrium and process the trauma of our experience. Putting the pieces of your life back together and rebuilding yourself is not an easy, pain-free process, but it is a worthwhile one. Have faith in your Bertha. The day will come where you will hardly recall the narcissist. Your ex will become nothing to you. Just someone you used to know. You will look back on the relationship as a painfully learned lesson. You will eventually learn to trust again, especially yourself and your instincts. The experience may forever leave a scar, but scar tissue is stronger than regular skin. You will be strengthened and move on. You will come to view the break-up as a blessing. Blessings often come in disguise. You will realize that through your relationship with the narcissist, you were given the gift of self-discovery, transformation and renewal. You will never be the same again– but you will be a better, stronger, wiser and an infinitely happier version of your old self.